With a mission to provide effective security and safety across the country, NATO signed the £1.1m contract in November 2017. 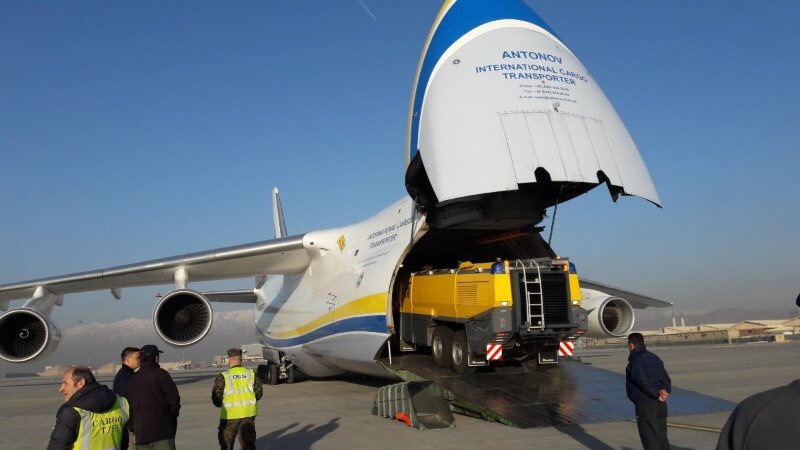 The two 6×6 Panther fire trucks have now been delivered and were transported to Kabul’s Hamid Karzai International Airport by the world’s largest operational cargo jet, Antonov Airlines’ AN-225. Oliver North, Managing Director, Rosenbauer UK. Rosenbauer UK’s Managing Director, Oliver North, who started his career in the military at the age of 17, secured the contract. 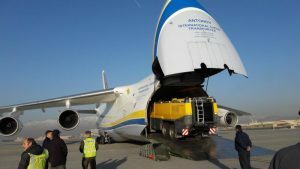 He said, “In 2017, many airports across the UK entrusted us to provide Panthers to meet their demanding requirements, but it’s fantastic to have delivered these state-of-the-art appliances to NATO. The 39-tonne £550,000 6×6 Panthers are capable of hitting 80kph within 29 seconds – a speed unheard of with similar sized machines. They are each able to carry 11,000-litres of water and can deliver 9000-litres of water and or foam per minute. The Panthers were purchased to replace existing units, and all fire fighting equipment in the appliances have been developed, manufactured, and optimally integrated into the vehicle body by Rosenbauer UK. 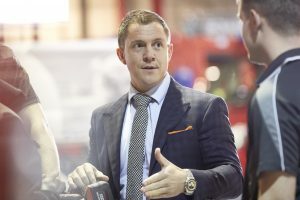 This deal was just one of 11 agreements secured in the airport industry for Rosenbauer UK in 2017, giving the organisation a 100 percent contract win rate in this sector. This has helped to propel the firm’s order book for 2018, which shows a 120 percent increase in turnover compared with the previous 12 months, up to £20m.